With the second generation of Surface tablets looming in the near future, it’s time to give the first generation some due respect. As a portable Microsoft Office machine with plenty of battery life, the Surface RT hardware earned a devoted fan base. Nevertheless, sales lagged until Microsoft slashed its prices, in large part because users balked at being trapped within the limited (though improving) microcosm of the Windows Store. The free Office RT software bundled with the RT tablets offers just partial consolation. The Surface RT tablet may be dismissed as a weakling, but it has its hidden superpowers—if you know how to unlock them. You can add functionality to a Surface RT (or other Windows RT-based tablets) through smart use of its connectivity—and by exercising some hidden app gems in the Windows Store. With a few minutes of effort, you can transform your RT tablet from a bargain-bin impulse buy into a truly useful piece of tech. The Windows RT operating system that runs on Microsoft’s Surface RT tablet is handicapped by its incompatibility with standard Windows applications. One of the smarter design decisions Microsoft made with the Surface RT and Windows RT was to include a standard USB port and drivers that are compatible with pretty much everything. Not only can that USB port be used to transfer media to and from the device or to expand the Surface RT’s overall storage capacity, but it’s compatible with USB printers, keyboards, and mice. Surface RT features a MicroSD card slot and a standard USB port, which can be used to significantly enhance the device’s functionality and storage. If you have a consistent workspace on which to use your Surface RT, invest in a powered USB hub so you can keep a mouse, keyboard, external storage drive, and printer attached via a single cable. Think of it as a makeshift docking station. If you’re frequently mobile (or aren’t ready to invest in a USB hub on top of all those accessories), wireless keyboards and mice from vendors such as Microsoft or Logitech offer a cheaper, more portable alternative. You won’t be able to install any additional software for specialized keys or macro programming, but the devices’ base functionality (i.e. typing, pointing and clicking) should work just fine. 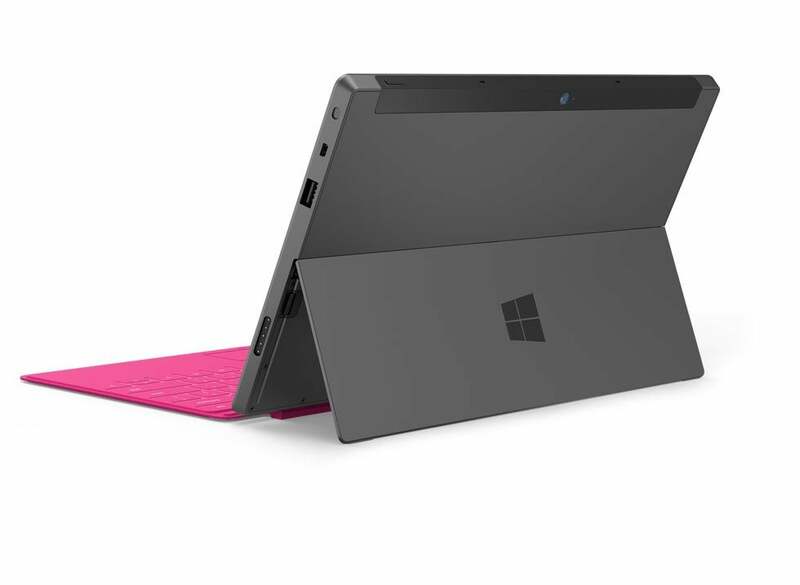 The MicroSD port can also play a role in supercharging your Surface RT. A fast, UHS-1/Class 10 MicroSD card is an easy way to expand the Surface RT’s storage capacity. You can find a 64GB MicroSD card for under $50. That’s important for a couple of reasons—first, because storage is limited on the Surface RT, especially for the 32GB version and, second, because the performance of solid-state drives like the ones used in the Surface RT degrade as they get filled. Offload your storage to an external drive, and you’ll minimize wear and tear on your RT’s SSD, ensuring optimal performance for years to come. Using external peripherals to enhance the Surface RT’s capabilities can be a godsend, but if you really want to step up your productivity, consider using your tablet as a front-end to remotely control a more powerful, full-featured PC. There are a couple of apps in the Windows Store that make remoting into a PC quick and easy. The best one is Microsoft’s own Remote Desktop app. Remote Desktop for Surface RT works just like it does on a standard PC; enter the remote PC’s local IP address or network name into the app, and as long as the PC’s got remote connections enabled, its desktop will appear on the Surface RT’s screen. Microsoft’s Remote Desktop app makes it easy to connect to and remotely use a PC, along with all of its applications and resources. 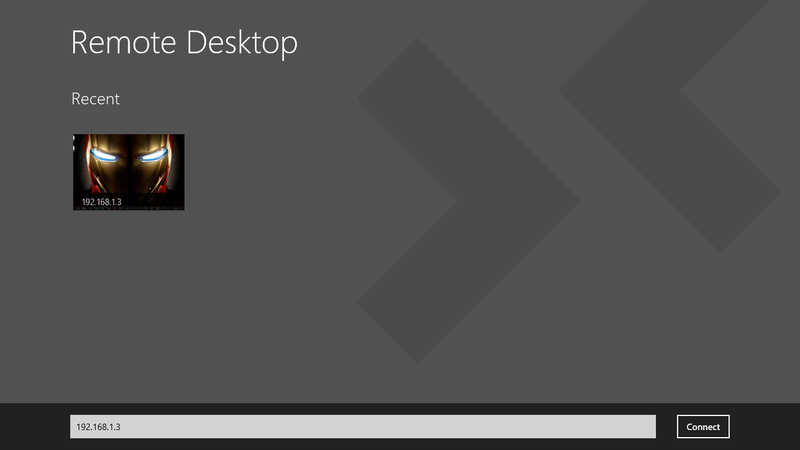 To install Remote Desktop on the Surface RT, search for it in the Windows Store, select it, and tap Install. On the PC you’d like to connect to, navigate to the System menu—on Windows 8 you right-click the lower-left corner and select System—open the Remote Settings menu (found in the upper-left corner of the Windows 8 System menu) and make sure the option to “Allow remote connections to this computer” is checked. Provided you’ve got those two things taken care of and the Surface RT and PC are on the same network, remoting in as easy as launching the Remote Desktop app and typing in the PC’s name or IP address. Technically, you can also use Remote Desktop to access a PC over the Internet, but that requires opening ports in a router or firewall, forwarding packets to a particular PC, and finding your external IP address (the IP address provided by your ISP). But instead of going through all that hassle, you can just install the Team Viewer app on the Surface RT and PC—it’s much easier to manage. The Team Viewer app works a lot like Remote Desktop, but makes it easier to access a remote PC over the Web using your Surface RT. The Team Viewer PC app acts as a tunnel to the Internet. 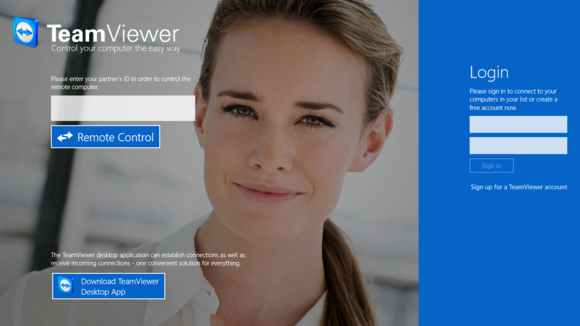 If you go to the Team Viewer website and install the PC app, it will assign your PC a unique user ID and password. Search the Windows Store on the Surface RT, install the Team View Touch app on the tablet, and you’ll then be able to remote into the PC from anywhere, as long as you’ve got an active connection to the Web. Controlling your PC remotely takes a little practice, but once you’re comfortable doing so, your RT tablet becomes an extension of your PC that you can carry anywhere. In addition to the handy remote desktop apps, the Windows Store is rife with other hidden gems that can make your RT more powerful, more productive, and more fun to use. The free TuneIn Radio app can stream virtually anything, from radio stations to local fire and police transmissions, right to your Surface RT. As its name suggests, TuneIn Radio is an app that gives users access to a smorgasbord of radio stations from around the world. 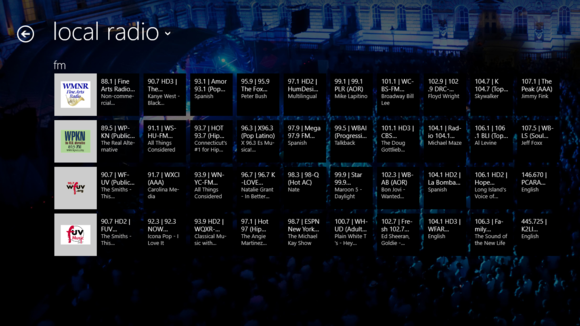 You can search for stations by genre, show type, location, language, and more. I’m not just talking about typical radio stations that play music or talk shows, either; TuneIn Radio will even stream radio broadcasts from public services—like police and fire stations—from across the United States. If you like to constantly learn about new things, the Khan Academy app is an awesome tool that provides nearly endless hours of enjoyment and education. This free app gives users access to news, lectures, interviews, projects, test prep for standardized tests such as the SAT or GMAT, and a myriad of other topics. Microsoft offers a number of modern apps for Windows RT that are designed to let you get work done without leaving the Windows RT app ecosystem, but it doesn’t include a decent file manager. Metro Commander is a free app that offers an excellent solution to that problem, with a clean dual-pane interface that makes it easy to manage files right from Windows RT’s modern interface. It may seem like a small luxury, but being able to move files around easily in the Windows RT environment makes it much easier to use Windows apps like SkyDrive and Photos on your RT tablet. 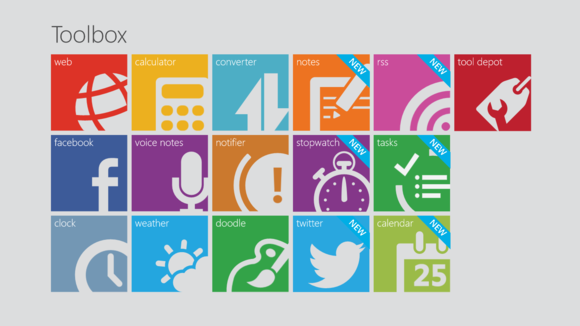 The Toolbox for Windows 8 app works on Windows RT and offers a one-stop-shop of sorts for a number of handy, simple apps. The Toolbox itself is free and includes things like a calculator, voice recorder, clock, doodle pad, a notifier/alarm, and a Facebook app, along with a few other tools. ToolBox for Windows 8 includes everything for Windows 8/RT from Facebook and Calendar apps, to a doodle pad, stopwatch, and calculator. You can also purchase additional apps, such as a task scheduler, Twitter app, or RSS reader. 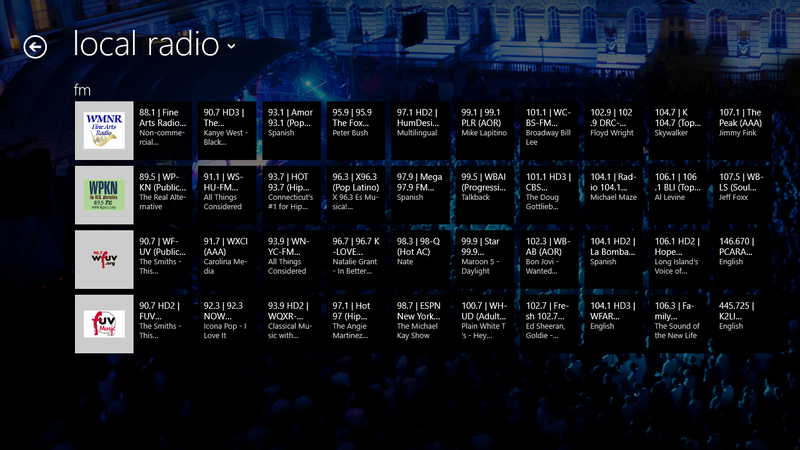 But even if you don’t spring for any additional add-ins, the Toolbox for Windows 8 app is incredibly useful. Surface RT users looking to showcase their artistic abilities will probably dig Autodesk’s Sketchbook Express app. This free app has a clean and simple interface, but it offers a wide array of brush types and drawing tools that help to create intricate works of art. Completed works can be saved in a personal gallery and images can be imported for alteration, making it a great tool for quickly editing sketches, mocking up presentations, and doodling. The Surface RT doesn’t have to be the also-ran tablet. Make the most of what it has, and you’ll be surprised at how much functionality you can wring out of it.